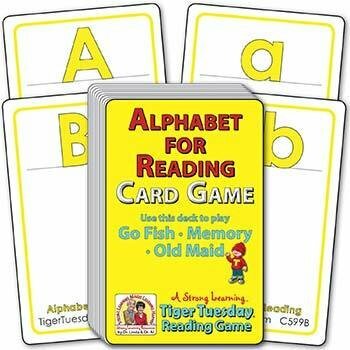 Pre-readers learn the upper and lower case letters of the alphabet, essential to beginning reading, while playing popular card games. For this deck, matches are the same upper and lower case letter. Contents: 56 standard size cards, 3.5 x 2.25 in. (includes 52 playing cards, directions card, answer card and Old Maid card).